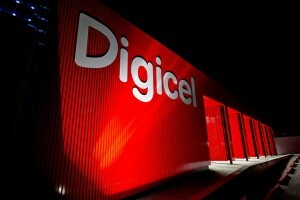 BRIDGETOWN – Digicel today begins offering voluntary separation packages as it moves to cut its global workforce by 25 percent, a week after announcing organizational restructuring and a partnership with a controversial Chinese company embroiled in a probe by the United States government. The Enhanced Voluntary Separation Programme is the first step in Digicel’s staff reduction process that will continue over the next 18 months. The decision to cut jobs is part of an overhaul of the company that also involves a relationship with telecom equipment maker ZTE Corporation, accused of violating US trade sanctions on Iran. It was alleged the Chinese firm was exporting communications systems to Iran that contained US technology covered by an economic embargo on the Middle Eastern country. Last Wednesday, Digicel announced a global partnership agreement with ZTE for an ongoing multi-year network upgrade programme, the largest network transformation ever undertaken by the telecoms firm. The deal was signed on February 9 in China by Digicel Chairman Denis O’Brien and Chairman and CEO of ZTE Dr Zhao Xianming. In March 2016, the US began investigations into ZTE. But the Chinese company recently got a slightly longer reprieve from export restrictions imposed by the US government over the issue, according to Reuters. The US Department of Commerce extended ZTE’s temporary export license until March 29, which means that the company can continue using US technology in communications systems it exports to other countries, despite the concerns. In a very brief statement on the license extension, ZTE said it is “actively cooperating and communicating with relevant US government departments” and both parties were “negotiating on settlement issues”. ZTE’s latest reprieve is much shorter than 90-day reprieves given previously. Reuters quoted Washington attorney Douglas Jacobson, who specializes in international trade law and represents a number of American companies that supply ZTE, as saying this either “indicates the final settlement is imminent or is just a stopgap to give the new administration time to decide how they want to proceed”.